A student eats lunch at the summer meal site at SeDoMoCha Middle School in Dover-Foxcroft. 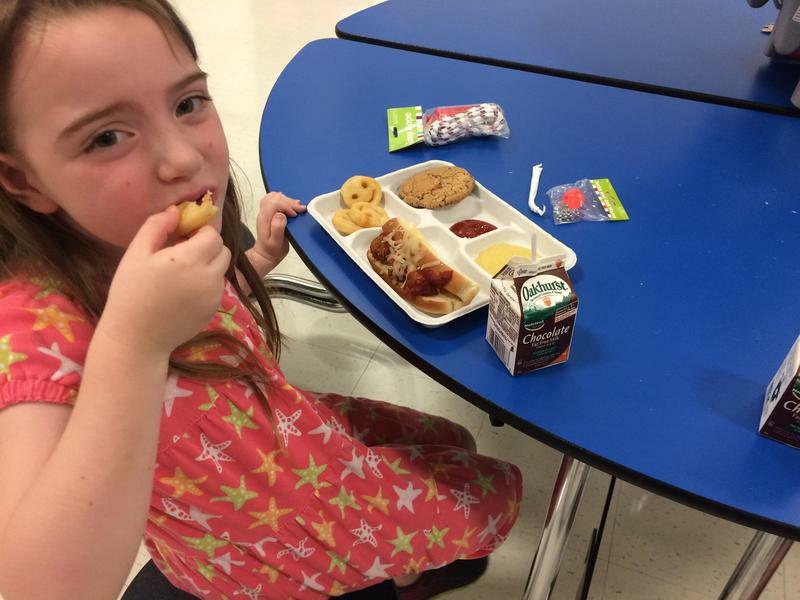 Nearly half of all kids in Maine qualify for free and reduced-price lunch at school. During the summer months, when school is out, there haven’t been a lot of options for those families – but that’s starting to change. 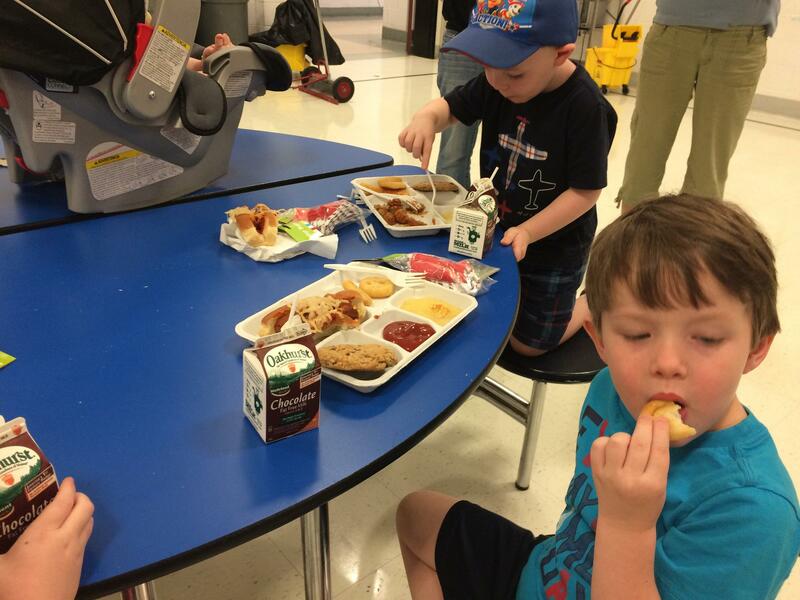 In the past ten years, the number of summer meal sites in the state has more than tripled. But reaching students in rural Maine is still a major challenge. In a small pavilion outside of Gray-New Gloucester High School, Rhondalynn LaMarca slices and scoops pizza to a long line of hungry students. This meal site, like many in Maine, emerged within the past decade. LaMarca says while it’s heavily used now, it was a struggle to get people to come in at first. Part of the reason for this change has been the transformation of many of these areas from simple meal sites to community gatherings. Local parent Mercedes Mendez-Swanson says her kids come here for meals, but also run around for an hour and even help out in a local garden. Students eat lunch at the summer meal site at SeDoMoCha Middle School in Dover-Foxcroft. In the past decade, the number of summer meals served in Maine has more than doubled, earning the state a ranking of the fifth-largest participation rate in the country. Clarissa Hayes, with the Food Research & Action Center, says organizations like the Maine Hunger Initiative have advocated for these kinds of summer meal programs. And she points to a 2014 Maine law that requires high-poverty schools with summer programming to provide summer meals to kids. She says that while nationwide participation in summer nutrition programs has actually decreased recently, the number of sites in Maine has tripled since 2006. Here in economically challenged Piscataquis County, 60 percent of students qualify for free and reduced-price lunch. And in just the past five or six years, nearly a dozen meal sites have opened. Callaway says that’s a big deal for an area where transportation is a barrier. In the low-income Derby neighborhood of Milo, for example, the closest meal site was about two miles away. So this year, Callaway worked with Milo’s town manager to get summer meals to kids in this neighborhood. It hasn’t been easy, and some days, only a few kids show up. But Milo Town Manager Damian Pickel says it has been important for this area, and it’s about more than addressing hunger. Even with these efforts, a lot of work is still left to be done to reach more kids in Maine. Only about a quarter of eligible students in the state receive meals during the summer. As she transports another shipment of lunches, Erin Callaway says she’s eyeing new ideas to reach those students, like a mobile meal service delivering food door-to-door. Adriane Ackroyd, summer program coordinator at the Maine Department of Education, says she’s encouraged by the use of similar models in cities such as Augusta. And she sees them as crucial to getting more meals in the hands of more kids in the future.